Site: Machine cut, hand finished, painted with grass, roads, walks, water features, landscaping, cars & people. Landscaping: large and medium trees with accurate shrubbery per the landscape plan. Buildings: Full color detailed laser cut acrylic buildings. 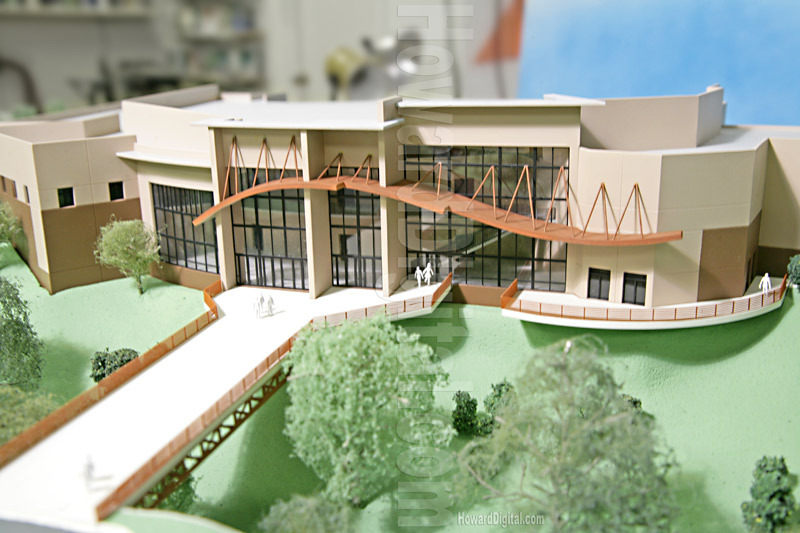 Plexiglas construction with digitally enhanced facades work beautiful with this Architectural Models. Crossroads Community Church seeks to create a unique environment of worship that will give hope and joy to those who seek to connect with God. Crossroads services feature an upbeat array of praise songs, innovative drama, and media clips that highlight a weekly theme. Crossroads Community Church seeks to provide a dynamic worship experience that helps us connect, in a meaningful way to God.